Antique sewing machine - National Express treadle. 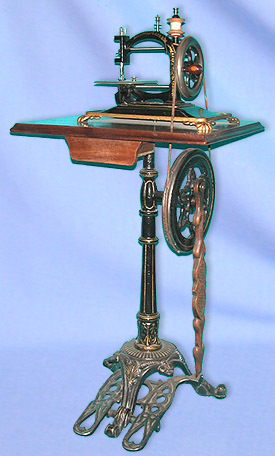 A fine National Express chain stitch machine adorns this elegant pedestal style treadle. Newton Wilson widely advertised this particular stand as suitable for many of his machines throughout the 1870s.